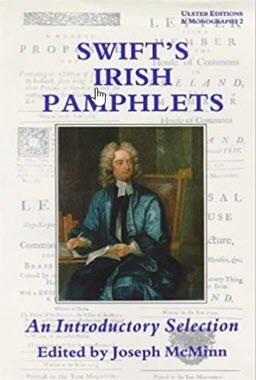 This volume collects, for the first time, Jonathan Swift’s major writings on Ireland and on Irish affairs, including the Story of an Injured Lady (1707) on Anglo-Irish relations after the union between England and Scotland; a number of the Drapier’s Letters, in which he assumed the persona of M.B. Drapier to voice his countrymen’s outrage at English insensitivity in dealing with Ireland; and the astonishing Modest Proposal seen here as a satirically logical outcome of the refusal of the authorities to heed his earlier pamphlets or alleviate the desperate straits in which Ireland found itself. Scholars of Irish and Anglo-Irish literature, students of history, and anyone who enjoys a biting, incisive prose style will welcome this collection of the best of Swift’s Irish writings.